Is “Mommy Brain” a thing? Maybe it should be called “Mommy ADHD,” but the struggle to focus your life as a mom is real! So many productivity and time management experts have advice to focus at work, but that doesn’t always translate to the home. As a former project manager, I was able to focus and accomplish my goals at work, but I always felt like my home life was falling apart. It’s hard to stay productive as a mom when your kids are shoving their toys down the vents or mashing food into your freshly scrubbed floor. Seriously, why bother following a cleaning routine?!? The house just stays dirty anyway! But even if every day seems different (and unproductive), chances are that you’re still following some sort of routine. But is it a productive routine? One that shows off your time management skills and awesome parenting? No?!? When my kids were young, our daily routine was structured around their feeding and nap schedules. Now, it’s still based on that to an extent – after all, they still need breakfast, lunch, dinner, and snacks. But even if you’re following a basic routine of feeding schedules, that doesn’t mean that you’re being productive. As your kids get older, your daily routine tends to change. And when you throw in sports practice, homework, and the kids’ social schedules, you might feel like you have no routine (or hope of creating one). A daily routine, even if it’s a basic outline of things you want to include in your day, will help you stay focused, productive, and claim a sense of self. 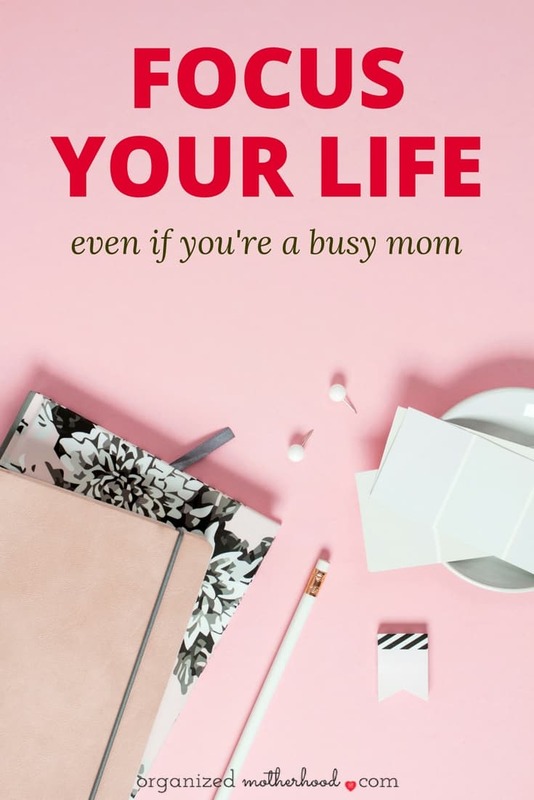 But how do you get to the point of having a daily routine that not only helps you accomplish everything on your never-ending to-do list, but also helps you focus your life and be the mom (and woman) that you know you can be? Right now, get your copy of The Ultimate Productivity Bundle, filled with resources to get organized, stay focused, and finally be productive. Getting started with a focused, intentional routine takes work. First, you have to figure out your morning routine (start your day off well! ), then create a cleaning schedule (no more sticky floors or massive laundry piles! ), and finally plan a peaceful evening routine (bliss!). With the right tools, managing your day (and time) is possible. And I promise they’ll make you feel more organized and productive (and less like you’re living in a constant fog of mom brain). 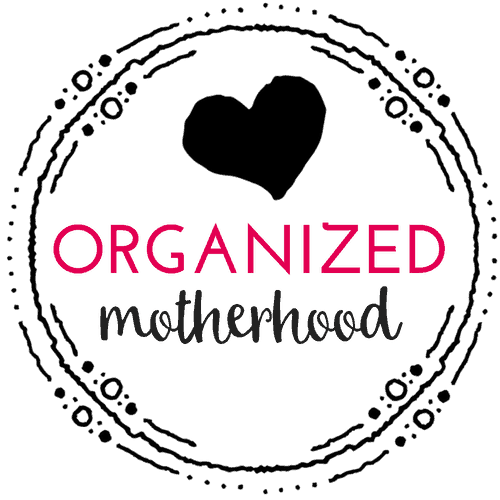 These are my favorite tips and ideas to get organized, stay productive, and focus my life, even as a mom with tornadoes for children. Invest in a great daily planner. Whether you time block your day or just plan important tasks to finish throughout the day, a daily planner will help you stay focused and productive. I’ve tried digital planners, like using my phone’s calendar app and Google calendar, but I’ve found that I get easily distracted when I try to use my phone. Instead, I switched to a paper planner so that I can see everything laid out (and there’s something to be said about writing everything down in a planner). If you don’t have a changing schedule, or if you have small handwriting, you might like a weekly layout. 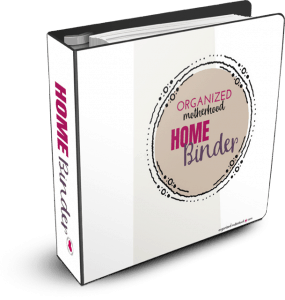 I’ve tried the Living Well Planner, which is beautiful, sturdy, and had a place for everything, including my budget. However, I like a daily layout (and I tend to write really big, so I had a hard time fitting everything on the weekly layout). I ended up buying a leather Day-Timer and then printed the Organized Motherhood Planner to use on a daily basis. 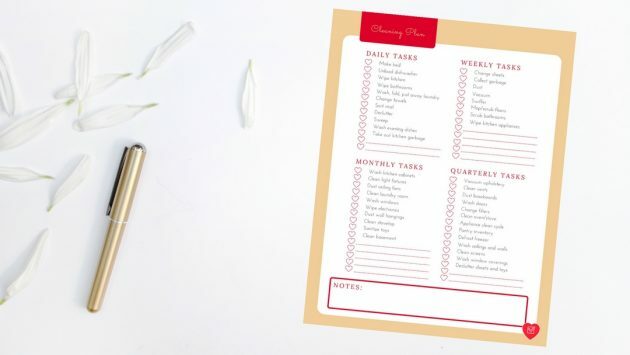 It has a place to write your daily schedule, but it also has boxes for something you’ll clean (with a reminder to do a load of laundry, dishes, and sweep), your daily healthy habits, like exercise, water, and your meal plan, and even a place to write one thing you’re grateful for. Schedule recurring reminders for things like library books or recurring appointments. If you schedule an appointment in your phone, don’t forget to schedule a reminder to transfer it to your daily planner or family calendar, too. Try to schedule a reminder for at least the day before, if not a week before so that you don’t forget. Use Post-It notes to make lists. These are especially helpful to place by the door, especially if you need to bring a list of things that you might normally forget. These lined Post-Its are my favorite for list making and posting on my door. ? If you have a large family calendar, you could also use different colored Post-Its to mark recurring events. Then, when you write your schedule for the next month, you can reuse the Post-Its. 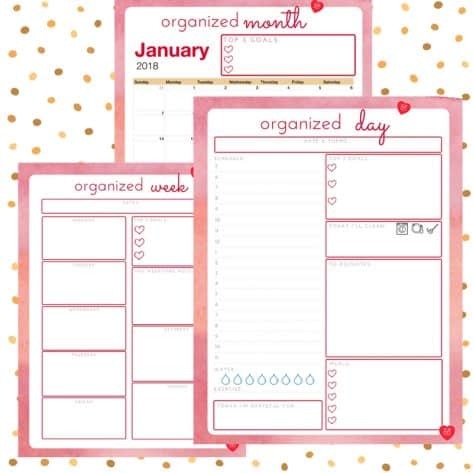 I love these 2″x2″ Post-Its for using on your weekly calendar. When you’re doing something out of the ordinary, like going on vacation, it’s helpful to have a checklist. Checklists can make anything more organized (and easier to remember). I’ve created checklists for everything from my packing list for travel to my cleaning schedule to my holiday plans. Anything that you do repeatedly can be put on a checklist. This will make sure that you remember every detail. It’ll also free up your brain space so that you can focus on the things that really matter. Automating your tasks, like creating a meal plan so that you don’t have to scramble to prepare dinner every night, is helpful, too. 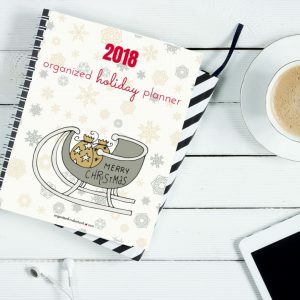 With a little planning, you can plan everything from your spending (use a budget), your outfits (use a printable wardrobe organizer), and even your holiday plans (use a holiday planner). Another way to automate is by creating processes so that you only handle things once. On your “file day,” spend 30 minutes going through all your paperwork from the week and finish it. Pay your bills, mark important dates on the calendar, make phone calls, and finish everything that needs to be completed. Then file, shred, or scan your papers so you don’t have to deal with them again. Delegate your tasks to cut down on your to-do list. If you can, have your kids help with chores (or hire a cleaning service if it’s in the budget). If not, consider investing in something like a Roomba to do quick cleanups at night, or add a nightly 15 minute quick clean to your evening routine (you’d be amazed at what you can accomplish when you put your mind to it). Sleep is one of the most difficult things to get when you’re a mom. Whether you’re still waking up every couple hours with midnight feedings, struggling to sleep train your toddler, or just dealing with daily life’s struggles, sleep deprivation is real. It might seem a little funny to include sleep as a productivity tool alongside Post-It notes, but if you really want to get organized, sleep will be the best thing you can give yourself. If you’re struggling to get enough sleep, read 15 Tips to Get More Sleep. Otherwise, go to bed! 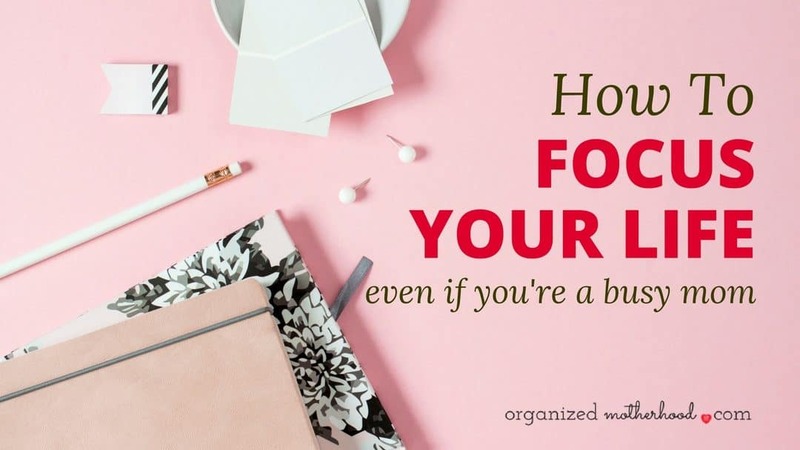 By using a planner, setting reminders for yourself, making (and following) checklists and processes, and getting enough sleep, you’ll be able to focus your life and be more productive, even as a busy mom. Every day, get ready to take on the world!